Brighton Bakes is my first book – it’s part cookbook, part quirky travelogue of Brighton. I raided charity shops and flea markets to create the look of the pictures, which were shot by the Deputy Art Editor of Good Food Magazine. The recipes reflect this ethos too – I love using forgotten ingredients and updating old recipes in a contemporary way. Of course you don’t have to live in Brighton to enjoy the book – it’s more of a style and individuality that the book embodies and reflects. 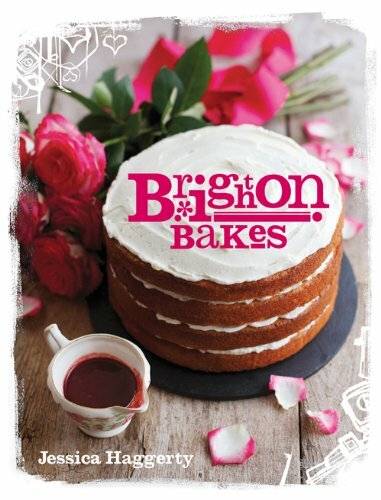 If you’d like to read some of the national press reviews Brighton Bakes received, please go to the Press page.